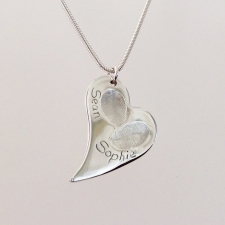 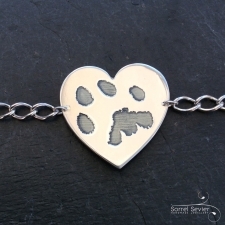 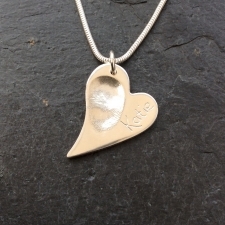 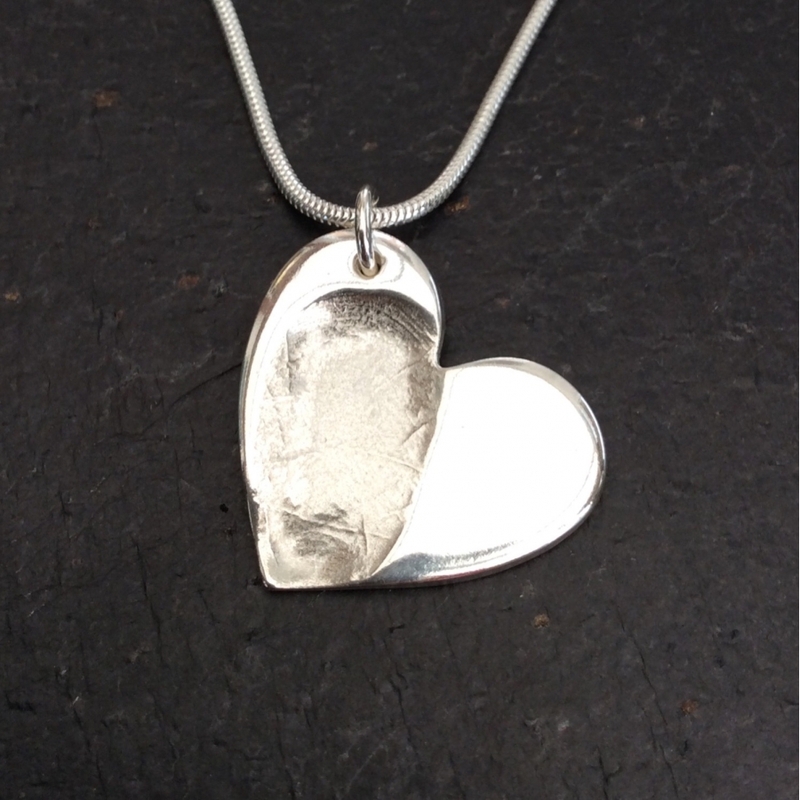 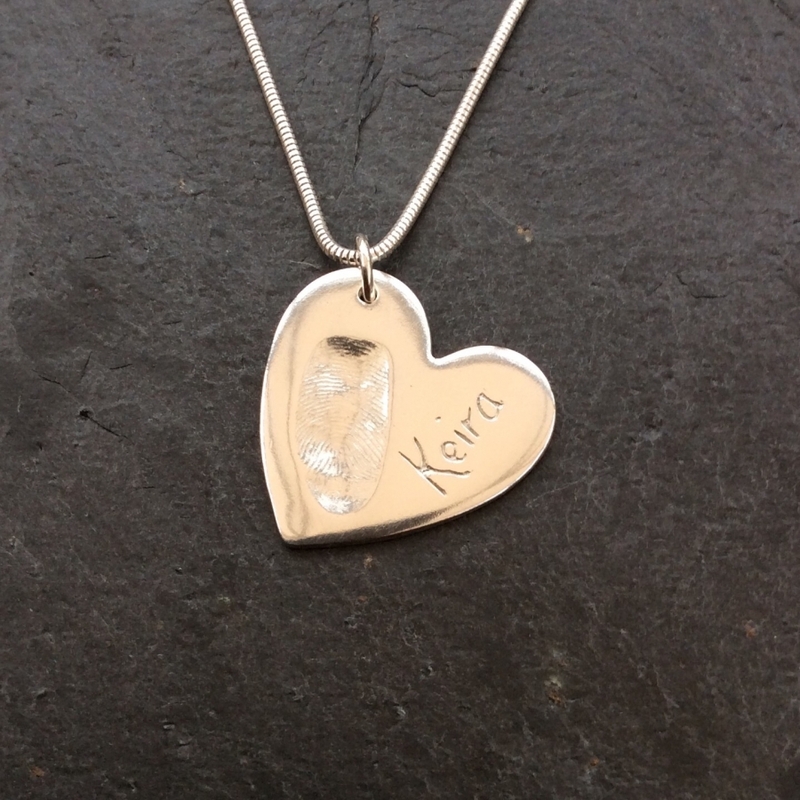 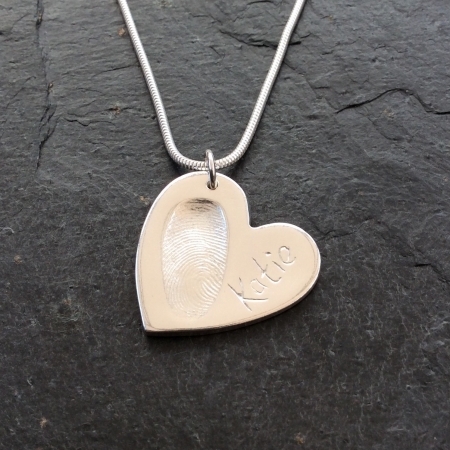 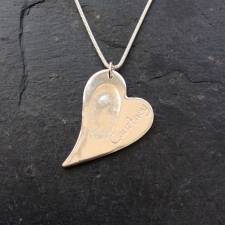 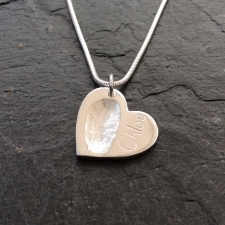 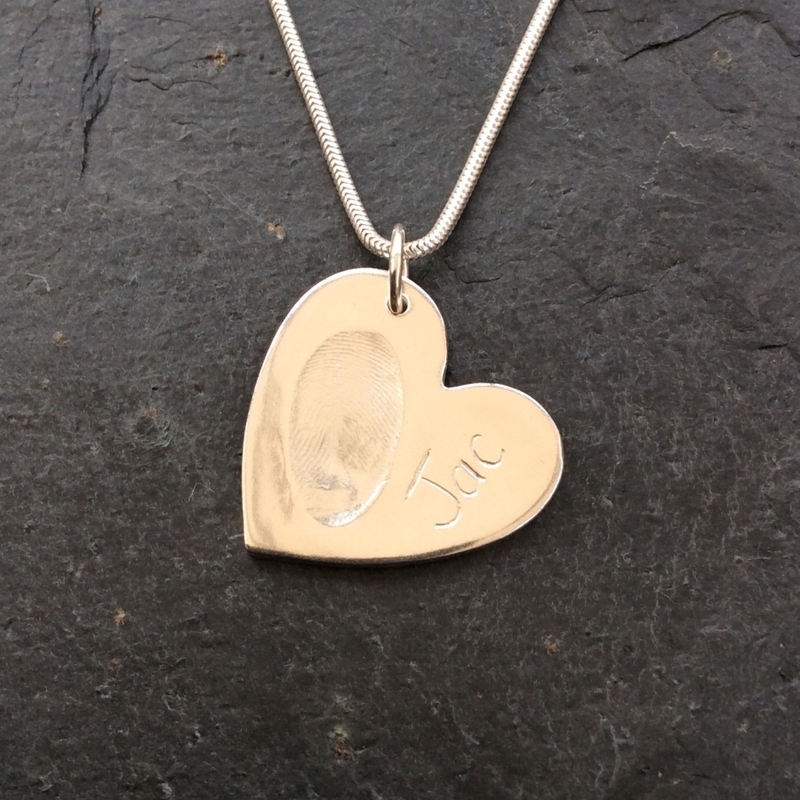 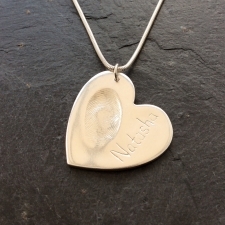 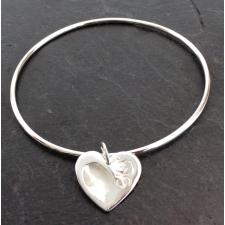 A single medium sized Silver Fingerprint Heart Charm on a Sterling Silver Snake Chain. 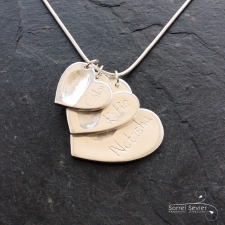 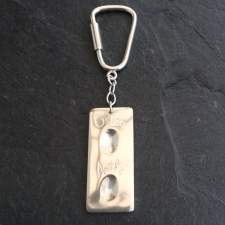 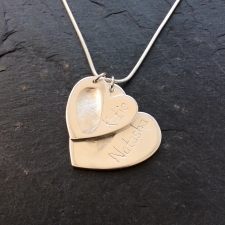 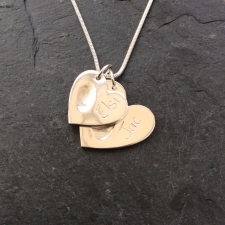 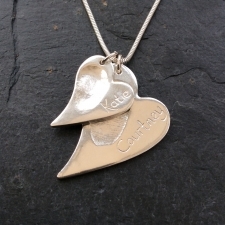 The charms can be hand engraved with text of your choice or left plain. 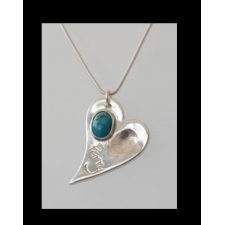 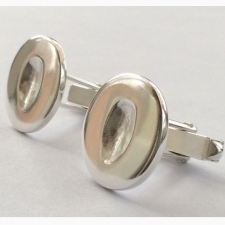 The price for this item includes the fingerprint impressions kit, all postage costs, and hallmarking. 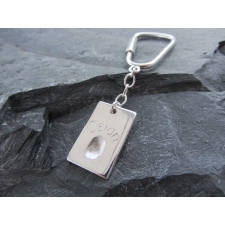 An order form will be sent to you along with your impressions kit on which you have the opportunity to state if any text is required on the charms.